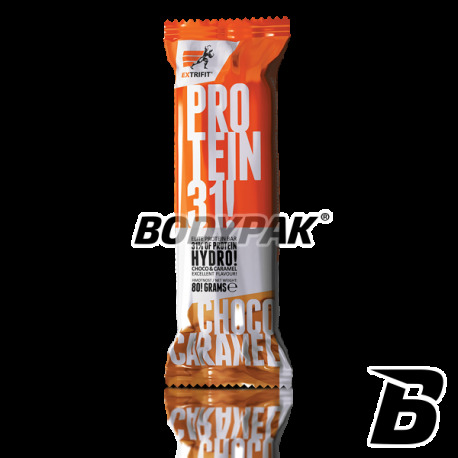 Extrifit Hydro Protein Bar 30% This is a veritable revolution in the market of sports bars. Excellent taste and composition! The ideal variety to the diet. A high-bar by Extrifit mainly based on milk protein hydrolyzate, whey protein concentrate, calcium caseinate and soy protein isolate having anabolic effect that is able to expand even the most resistant muscle tissue. Certainly this is an innovative baton being an introduction to a perfect silhouette. The most complete baton bodybuilding? Probably, because it is able to substitute for any meal, while also providing a large amount of macroelements. Drenched in milk chocolate has an excellent flavor and aroma, you will not find even in the most popular bars. Extrifit Hydro Protein Bar 30% is a proposal to all athletes and people whose aim is the rapid development of muscle mass and physical strength. Conceived composition and taste dopracowanemu gain on many levels at the same time - great variety to your diet while her support! 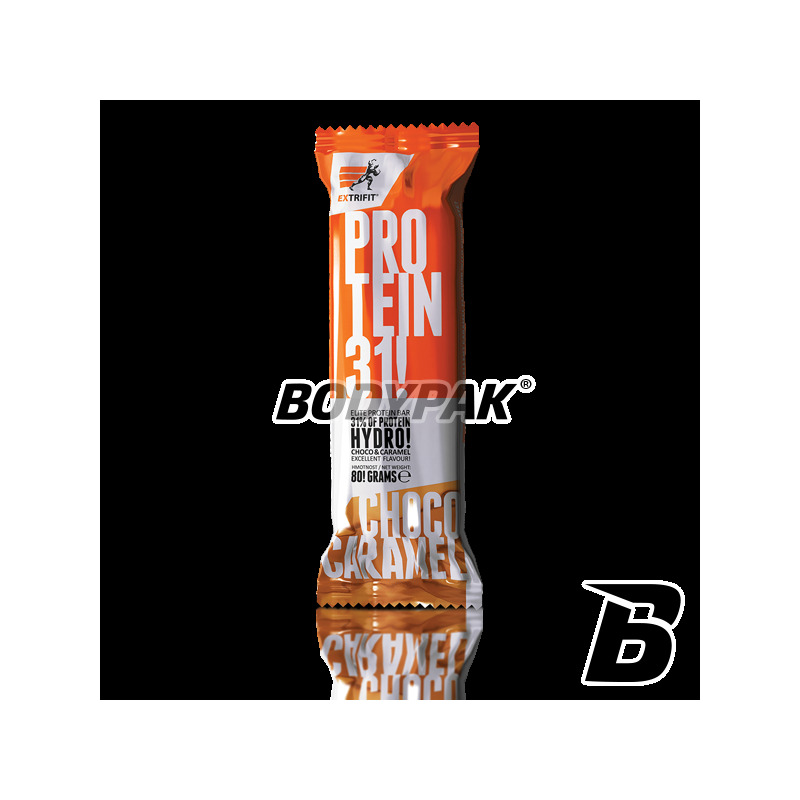 Ingredients: Sugar syrup, cocoa butter, milk powder, cocoa butter, emulsifier soy lecithin , aromas), invert syrup, hydrolysed milk protein, whey protein, sodium caseinate, Soy protein, hydrolyzed gluten, soya cripsy (soy protein, tapioca, salt), caramel paste 2.6% (sweetened condensed milk, glucose syrup, vegetable fat, caramelized syrup) sugar, emulsifier (mono and diglycerides of fatty acids) Milk protein, palm fat, skimmed cocoa powder, flavors, emulsifier soy lecithin . Dobry baton, nic dodać nic ująć.